ACK! We were on the 3rd page lol We need more glider slaves! Hello Everyone <img src="/ubbthreads/images/graemlins/wave.gif" alt="" /> I am here. It's been awhile, my hubby and I move durring the summers for his job, and so this past summer I was in Brooklyn NY, and next summer I'll be in San Fransisco, but my home is UTAH!!! So add me to Utah list! And I agree on loving those beautiful mountians! I'm here, too <img src="/ubbthreads/images/graemlins/wave.gif" alt="" /> about 13 miles or so N of Park City in the high country. Hi, Alicia(jaz)! I can provide a building for get togethers if anyone wants-just need a date and advance notice, but it's free. Gee, is this all of us there are? Awsome!! so glad to see others!!! It would be a lot of fun to have a meet up! My girl duchess has 2 joeys ITP their her first!! So I'm gonna wait until their oop & all is well before we venture out, but I'd still love to have a meet up! Hey I'm here in Utah, been dreamin of a glider for the past few months. I'm just curious where's the best place for me to get one in this area? I already checked with all the published breeders in UT that I could find. I don't really want to drive out of state either, ideas? Thanks for any help. Yay! <img src="/ubbthreads/images/graemlins/multi.gif" alt="" />More Utahans! YAY! Another CA to UT transplant! (Me, too). 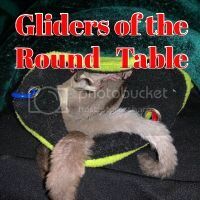 AND a glider person (good taste, there <img src="/ubbthreads/images/graemlins/wink.gif" alt="" />) C'mon folks, gotta be more UT glider people than this! Welcome! Hey does anyone know about any little "get-togethers" coming up for the Utah folks? Hi I am from Utah!This is my first post, but I have been stalking this place for weeks trying to get as much info as I can before my little girl comes home.I am so excited. Anyway I think it would be fun to meet all the other sugar people here. Just checkin still here. Have added two extras to the family, Pheobe and Mr. Bojangles both are about 4 mos old. No get-together's planned. I think we need a place TO get together-all the spare room at my place is occupied by gliders and their stuff (not a big apt. to begin with). If anyone has a location, or wants to host one, let's try it! I don't have a place big enough either,but I will keep my eye out for something.I think a utah suggie convention would be alot of fun. I'm in Utah as well; just moved to Spanish "Fark". <img src="/ubbthreads/images/graemlins/smile.gif" alt="" /> I'm still doing some research and planning before I actually hunt down a breeder... being broke at the moment doesn't help much either haha! Last edited by Monster; 10/22/04 03:06 AM.